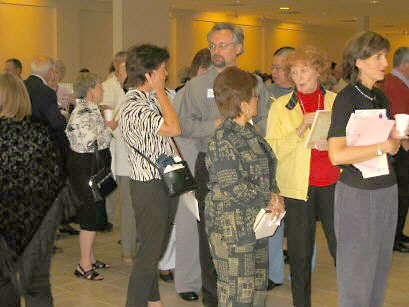 Click on the thumbnail pictures below to see an enlarged photograph. 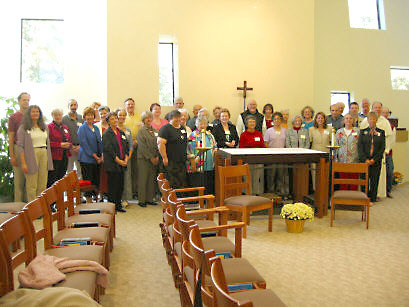 Group photo at Leadership Meeting at St Albert Priory. 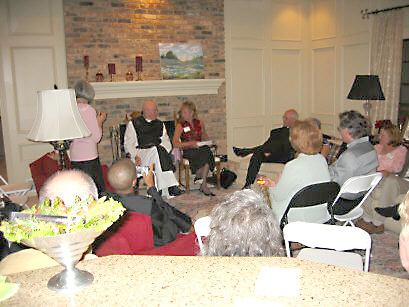 Fr Keating and Marie meet with dinner party guests. Sandy introduces Fr Keating & Marie to talk about Contemplative Outreach. 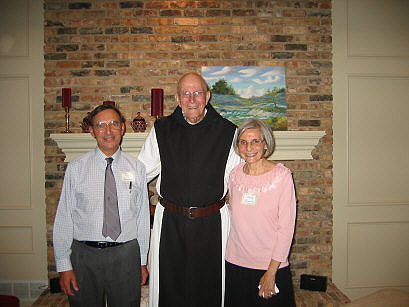 Ed, Sandy & Fr Thomas ham it up. 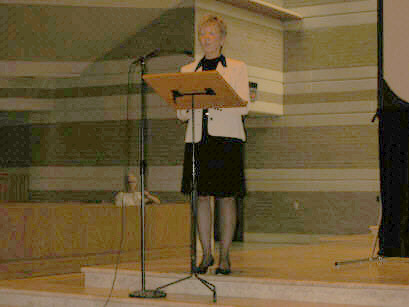 Sandy gives the welcoming at the Fundraiser held at St Joseph Church in Richardson. 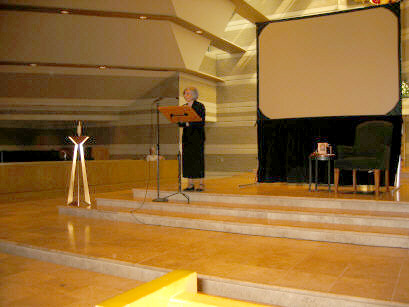 Marie Howard tells us about the needs of Contemplative Outreach. 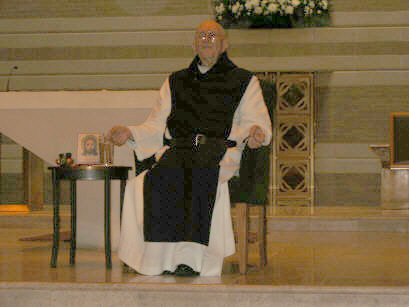 Fr Thomas gives the keynote address on Sunday. 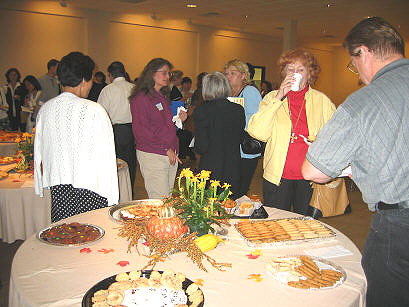 People mingle at the reception following the Sunday fundraiser. 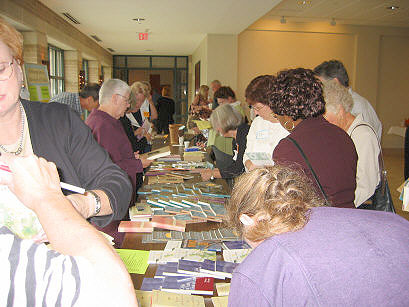 Fr Thomas' books are purchased at the popular book sale table. 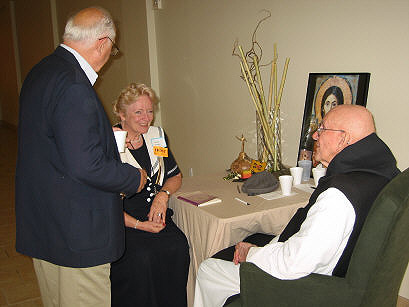 Guests wait in the reception line to spend a few minutes with Fr Thomas and have him sign books. 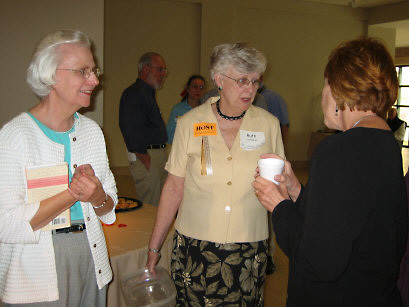 Jonnita, Ruth S. and Ruth A. savor the refreshments at the reception. 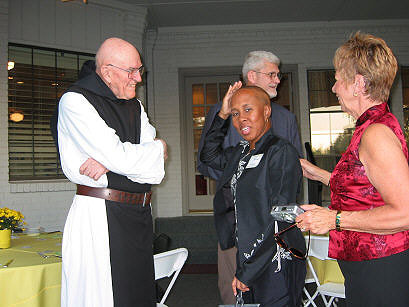 Fr Thomas enjoys meeting with guests Dorothy & Walter.